SALT LAKE CITY (KSTU) -- People in Utah gathered outside the Public Safety Building Sunday evening for a Black Lives Matter rally, calling for police accountability in the shooting death of Patrick Harmon. Salt Lake City Police officers shot and killed Patrick Harmon on August 13th. He had been stopped for crossing multiple lanes of traffic on his bike, which did not have a tail light. Officers said they asked Harmon for his name, and he gave them multiple other names first. When they looked him up, they found he had warrants for his arrest, at which point they attempted to take him into custody. Harmon fled. Protesters gathered outside a public safety building in Utah on Sunday after the release of body camera footage in the shooting death of Patrick Harmon. District Attorney Sim Gill said in a report the body camera footage from the three officers shows Harmon stop and turn toward the officers with a knife in his hand, which officers later recovered from the scene. 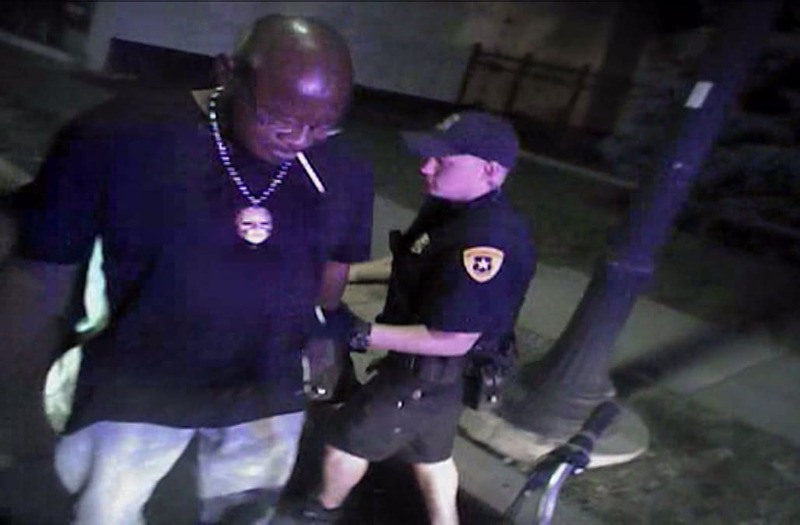 For that reason, Gill said Officer Clinton Fox's decision to use deadly force was justified. Black Lives Matter Utah Chapter organizer Lex Scott told FOX 13 she saw the body camera footage. She said for her and others at the rally, there is no gray area; it is all black and white, so to speak. "It was the most clear case of murder I've ever seen," she said. "I'm emotional because I'm sick of marching for people that have been murdered by police. I'm tired. I want some justice and we never get it, so we're just gonna keep fighting." It is a fight Mac Allred said he has fought his whole life and continues to fight for his children. "My children have to operate from a place of fear, and I don't want that to be the way my children have to operate," Allred said. "I love this nation and I was willing to put my life on the line when I served in the military. I want my family to feel we are just as American as the next person and able to live a free life here." Allred was one of the speakers Sunday evening calling for justice. Among the chants were "Black Lives Matter", "Fire Officer Fox", and "Shame on Sim Gill", who they say needs to independently investigate police or step down. "I look at some signs over here and they say duty, honor, sacrifice, courage: I don't see the word justice over there," Allred said to the crowd, noting signs on the public safety building. He pointed out it was ironic there was nothing about the "public" or "safety" on the building. Another supporter took the microphone and spoke of being a white mother to a black child, calling it both the most wonderful and hardest thing. She said to the crowd if she had been on a bike and swerved across lanes of traffic, police would likely pull her over, ask if she was OK and even offer her a "[expletive] ride home." This statement was met with cheering and clapping. Scott said they will continue to hold these rallies and marches and will keep chanting until their voices are truly heard. "I do see progress with Salt Lake PD, but we still have to work on Cottonwood PD, South Salt Lake, West Valley, everyone," she said. Allred agreed, saying it is something that will take time but he believes will happen as long as they keep moving forward.